I know how it feels when you can’t wear the sleeveless dress you have bought because you have dark underarms. It is quite embarrassing, and you avoid wearing those outfits even if you want. But you don’t have to worry. 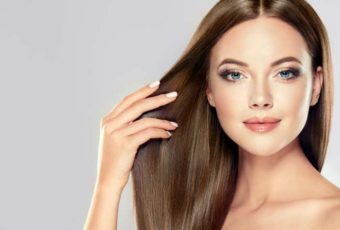 I am going to present you an impressive list of natural remedies and procedure on how to get rid of dark armpits. Before I am going to tell how to lighten your dark under the arm, you should understand why it is getting black. Only after taking the corrective measure you can get your old soft natural skin tone back in these areas. Let me assure you this is not a disease. In some cases, this might happen due to fungal infection. If you are having the fungal infection in those areas for quite a long time, then your armpit might get dark. In that case, make sure you maintain proper hygiene and use an anti-fungal ointment after consulting with a physician. 1. Underarms shaving, shaving cream. 2. By the effects of chemicals present in the hair remover cream. 3. Deposition of the dead cell around that region. 4. Alcohol-based deodorants and antiperspirant might cause the skin too dark. 5. Exposure to sunlight might cause skin darkening. As you get exposed to harmful ultraviolet rays, your skin produces melanin by stimulating a particular cell called melanocytes. 6. In the particular medical condition like acanthosis nigricans can cause skin darkening under armpit, groin area. This is related to insulin production and mostly seen in overweight people. Addison’s disease and pregnancy are not a cause of skin darkening.You can use the below natural solutions to remove skin darkening during pregnancy too. Potato has natural bleaching property. Apply the paste of potato on the skin of underarm. Leave it for 30 min then wash it off. Its soothing effect repairs the damage and bleaches the skin to get back to its natural color. Cucumber not only helps you to get rid of dark circles but also helps in reduce the dark patches from your armpit. 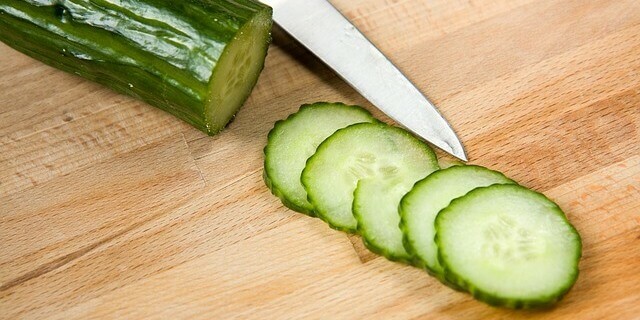 Apply the slice of cucumber in the blackened region and rub it. It will repair the skin and helps bring back the original skin tone. Lemon is best known natural bleaching agent. Cut the lemon and rub it under your arm. Leave it for 15 min and then wash it off. It not only whitens your underarms but also helps remove the odor away. Apply moisturizer as it tends to dry the skin. Dry the orange peel under the sun. Then grind the orange peel along with turmeric powder to prepare a paste out of it. Apply this paste to your underarms. This mixture works as the wonder in lighting the skin tone. Prepare a mixture of lime juice, glycerin and rose water by mixing them in equal amount. Apply it on the affected areas and leave for an hour. Wash it off with water. This combination will give you beautiful smooth textured underarm. Try this and let me know the result. Prepare a paste of baking soda and water. Apply it on the area. Wash it off once the paste got dried with lukewarm water. Prepare a mixture by mixing saffron and organic unsalted butter. Apply it on your armpit. Saffron is known as skin lightener since ages. 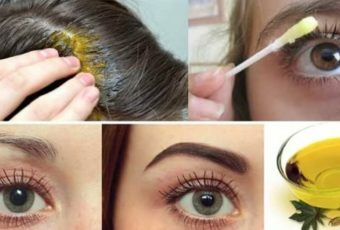 Try this home remedies and let me know the result. Gram flour can lighten skin in less time. Prepare a mixture of lemon, gram flour, and curd. Apply the mixture on the affected region. Keep it for an hour then rinse it off.Use this remedies daily and see the effect in 2 weeks. Prepare the mixture of sandalwood and turmeric. Use rose water while making the paste. Use this paste under an arm. Leave it for 1 hour. Use this for a while. This sure shot way to lighten your dark underarm. Message coconut oil under your arm for about 10 min before taking the bath. There is nothing that coconut oil can’t do. It’s been best beauty oil since ages. Apply paste of vinegar and rice flour under your arm. This will lighten your armpit. Shaving removed hair but left the stubble behind. With a passage of time, it hampers the sensitive skin of the underarm. Instead of shaving, I will suggest you start waxing it. You can go the parlors take help of the professional to get a perfect waxing to remove the hair from your underarm. You shouldn’t use hair remover cream at any case .Harm full chemicals present in the cream damages the natural skin texture.It leads to itching, skin irritation. Better if you choose to wax to remove hair from your underarms. The harsh chemicals present in deodorants and antiperspirant gives you dark underarm. These items contain chemicals like alcohol, paraben, synthetic ingredients. Try to use natural deodorant like sandalwood oil, nonalcoholic scent. Even if you have to use them, we can use them on your clothes instead of under your skin. It might cause hyperpigmentation. So I will suggest stick to waxing. If you are suffering from diabetes, control it. Consumption of insulin might cause this problem. Use a scrubber once in a while and don’t compromise on your basic hygienic. If none of the above mentioned natural remedies works then, you should visit a skin specialist as you might have been suffering from acanthosis nigricans. If you are overweight and have lots of sugar intake, then there is a high chance that you are suffering from it. You should control your habit taking sugar. Maintain a healthy weight. Let me know the results you got after trying out the home remedies. I am sure you will be again able to wear your sleeveless dress and looks lovely.